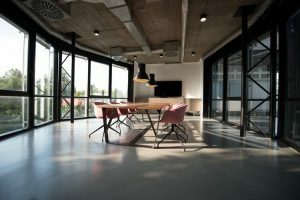 Home › Article of the Day › What is the best office temperature? What is the best office temperature? There are few workplace issues as contentious as office temperatures and the role air-conditioners play in establishing and regulating this temperature. For some it’s too cold, while for others what may seem like a happy mean is too warm. It is a delicate balancing act that could have serious implications for productivity and wellbeing in the workplace. Tinus Boshoff, legal expert at The South African Labour Guide, says most organisations aim to maintain a comfortable office environment in summer and winter with air-conditioning systems. “These systems could be described as the control of the temperature, humidity and air movement and cleaning of air in a confined space. It is sometimes referred to as environmental control. Women and older workers generally prefer higher office temperatures. According to Boshoff, there are two major areas of air-conditioning systems that constitute a risk in the workplace: Comfort and disease. “Most common complaints relating to air-conditioning are about comfort. Some workers complain that the office environment is too hot while others might complain that it is too cold. This is difficult to determine conclusively, but several expert guidelines exist. Boshoff says hygienists generally recommend that summer temperatures should range between 21 and 14°C and winter temperatures between 24 and 26°C. Hedge contends that the right temperature falls somewhere between 24 and 26°C. According to the Rabie Group, a property group with 70 commercial buildings in South Africa, most South African building managers agree that 22°C is the ideal temperature for offices. Michael Dickinson, project manager at the Rabie Property group, told Business Insider South Africa that you’d still have to set your thermostat a little higher or lower. “Because different aircons have different outputs, the temperature can vary by 1.5°C. He says it is best for anyone who disagrees to adapt to that temperature. And what if you’re still not comfortable? Klara says the most popular action to take when it gets too cold is putting on extra clothing, with 70% of women bringing additional clothing to the office, such cardigans or jumpers, while 28% of men drink extra cups of tea. “Other measures include changing the aircon settings, and using a heater. Theo Mac Simlah, facility manager at the Media24 building in the Cape Town foreshore, says he recommends that those who do not find the temperature comfortable either wear a jersey or something cooler.